Notice! 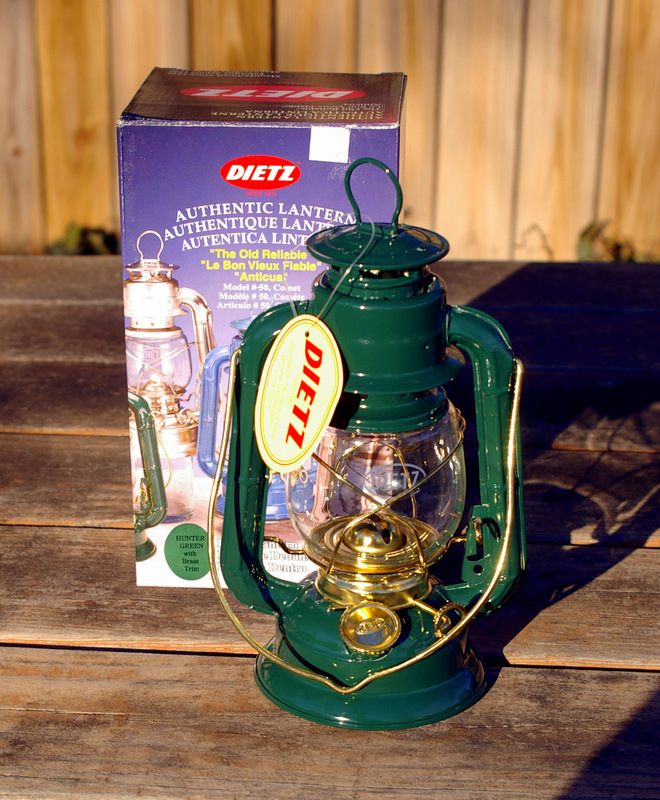 Dietz Lanterns Available Again!!! Here is some great news for traditional campers. 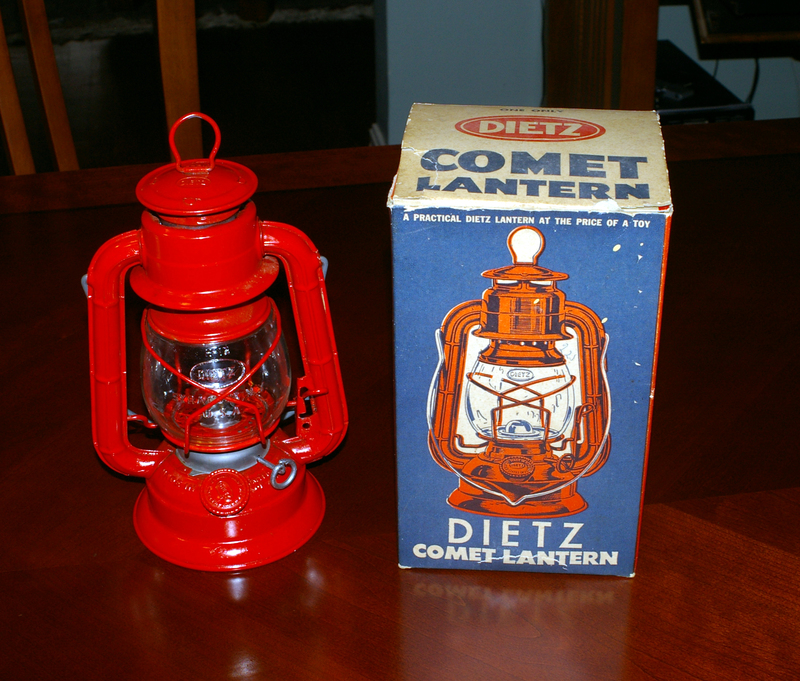 W. T. Kirkman Lanterns, Inc. is now stocking a NEW production Dietz Comet lantern! 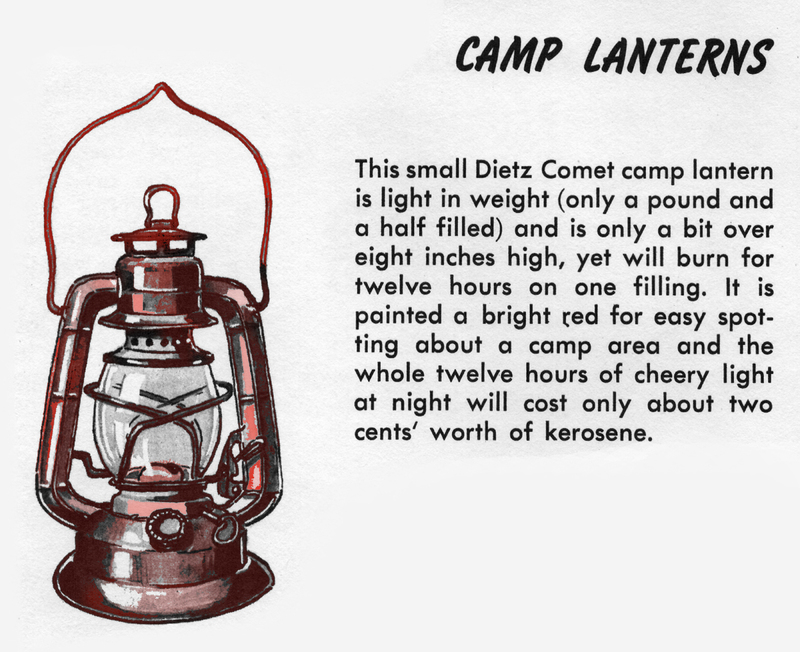 If you’ve read my post on types of kerosene lanterns, you know that the Comet is my favorite of all time. 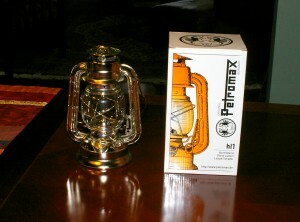 It was the official kerosene lantern of the Boy Scouts of America from the early post WWII period up through the 1960’s. 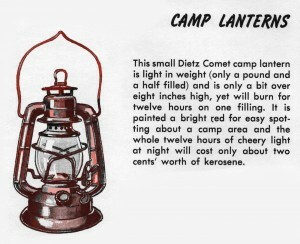 With an overall height of just 8 1/2 inches and a base diameter of 4 1/2 inches, the Comet is the smallest cold blast kerosene lantern ever produced by Dietz. I discovered that the Comet was listed in the 2013 Dietz product catalog but I could not find them for sale in North America. I figured that Woody Kirkman would eventually stock the new Comet. In July of last year, a reader, Terry, commented that Kirkman’s was again selling the Comet in addition to recommending that anyone interested also purchase the Kirkman replacement globe for the Comet as it was much better than the standard Dietz globe. 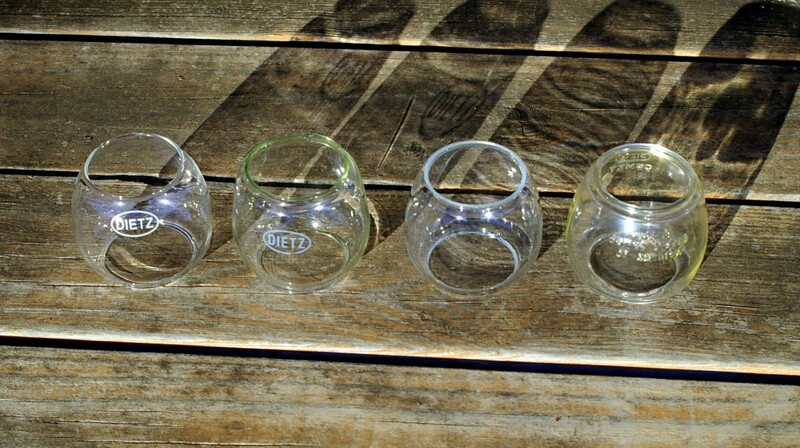 These new Comet lanterns are delivered with a holographic sticker emblazoned with the Dietz logo, something not seen on previous Comets. 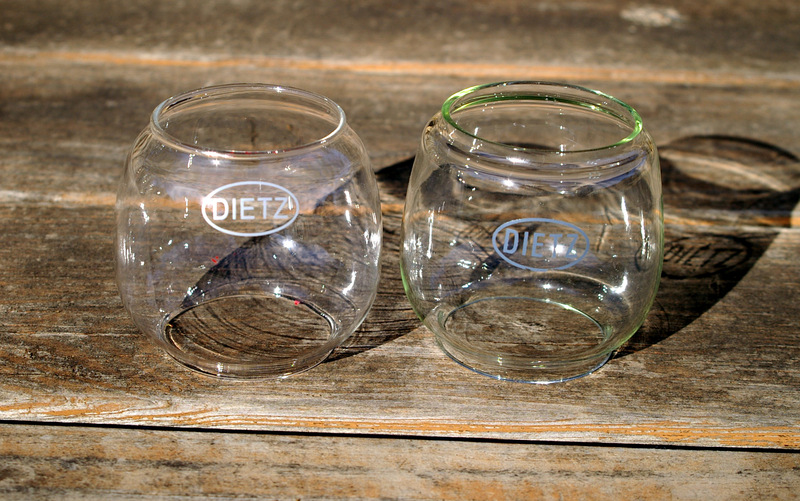 New holographic Dietz logo sticker. The really exciting news is that Kirkman’s is offering a tin plated version of the Comet (along with painted versions). The tin plated model has not been offered since before WWII and is historically correct for a pre-war Comet. The painted lanterns retail for $10.95 and the deluxe tin plated version sells for just $5.00 more. 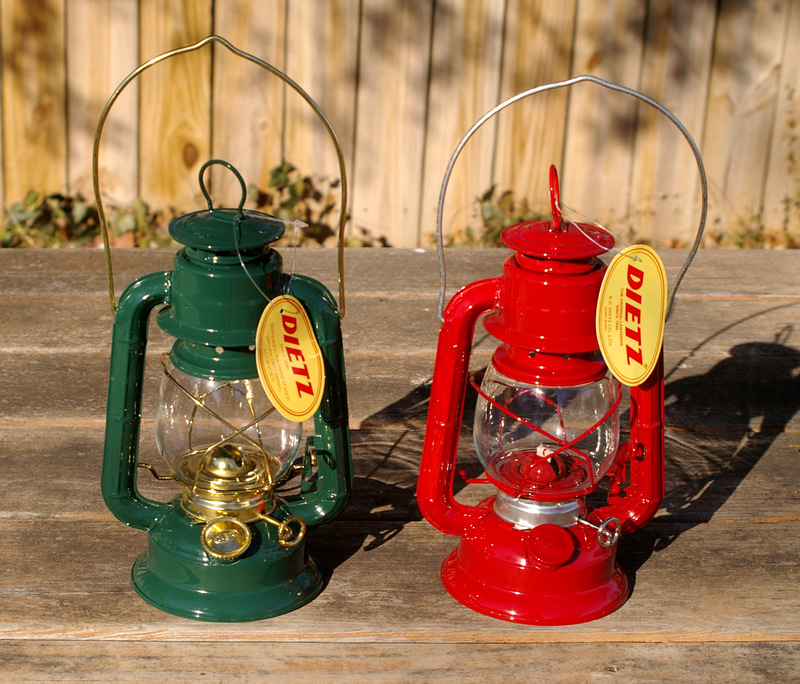 Left: New tin plated Comet lantern Right: New red painted Comet lantern. The holographic sticker has been removed with Goo Gone and elbow grease. I think the sticker is incongruous with a vintage kerosene lantern. Though I’m thrilled to see these lanterns available again, in my opinion, the quality of the product has declined over those sold just a few years ago. For one thing, the globes now offered are not as finely molded nor of the same thickness as the previous version. Left: New production Comet globe Right: Comet globe offered just a decade ago. Note how much more precise the molding is on the older globe. The glass is thicker too. Luckily, Kirkman’s offers a heavy glass replacement globe for the Comet lantern that is very nice (though it still does not approach the quality of the original). If you purchase a new Comet lantern, do yourself a favor and buy a Kirkman’s replacement globe at the same time. The difference in globe quality is amazing! Unfortunately, I have other complaints as well. The red painted lantern I received was delivered with several paint chips. I’ve seen little used vintage Comet lanterns over 50 years old that had fewer paint chips than the new Comet I received last week. While the paint chips are small, it is disappointing to see a chipped finish on a lantern that has not seen a single day of use. Left: Vintage Dietz Comet manufactured in 1950. Right: New Dietz Comet manufactured in 2013. Left: Green Comet with brass trim is from a decade ago. Right: New Comet was manufactured in 2013. The bail and burner are of raw carbon steel like the original and will rust if not protected. Previous Dietz Comets were delivered in a very nice cardboard box. New Comets are not. I know it sounds like I am seriously unhappy with the new Comet but I’m not. Even with my complaints, I would not pass up buying one. For one thing, it’s a brand new Dietz Comet! 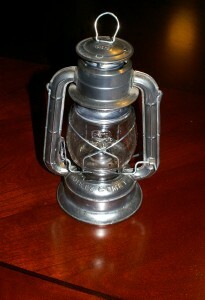 For another, even original Dietz hurricane lanterns were utility barn lanterns. Those with painted finishes easily chipped in use and all but brass finish models quickly rusted if exposed to moisture. 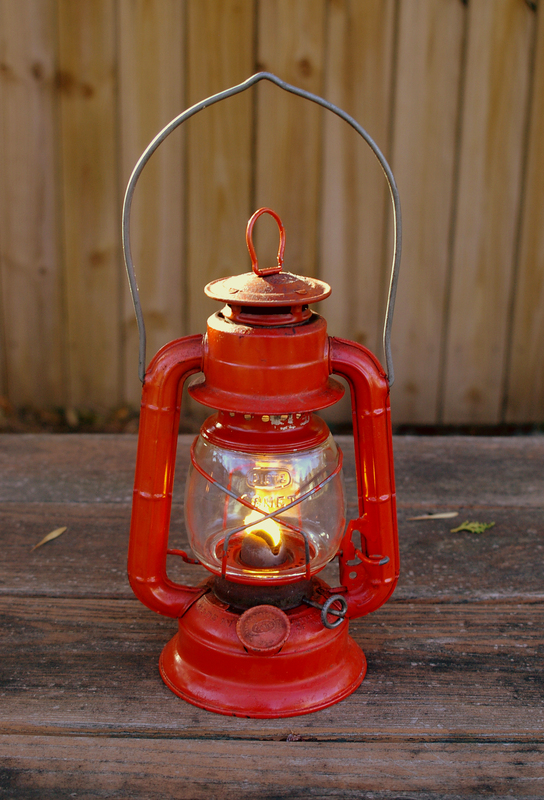 If you use a kerosene lantern with a painted finish, it will get marred and if you use a tin plated lantern, it will rust if not protected. As soon as I restore or purchase one of these lanterns, I give it a good coat of car wax. Everything is waxed – bail, burner, cap, globe wires, chimney (inside and out) and lantern body. I also wax the plated lanterns. If you keep your lantern waxed regularly, it will never rust. A collection of Comets that includes a couple of restored, vintage Comets, a new-old-stock vintage Comet, a new Comet made a decade ago and three new Comets just purchased from W.T. Kirkman (one red painted and two tin plated). 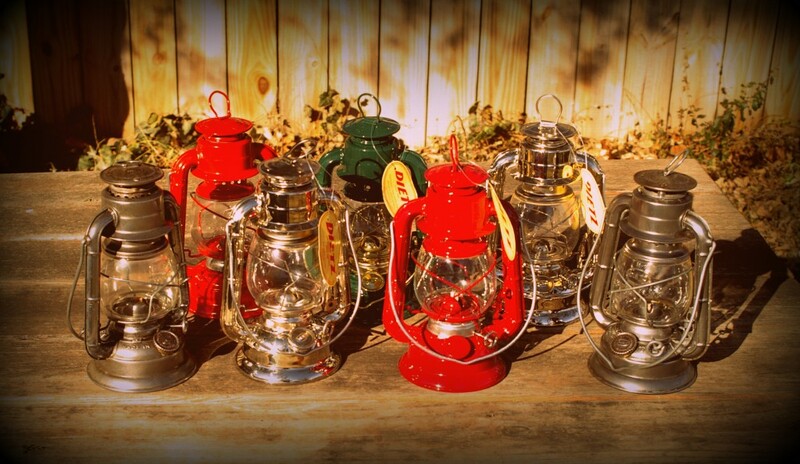 For traditional camping, these new Comet lanterns are just the ticket! 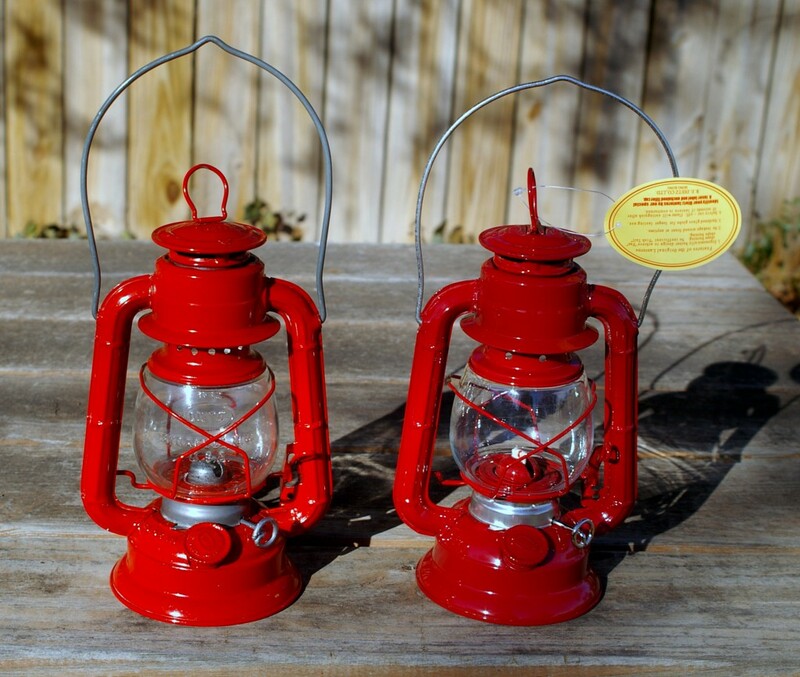 The beautiful tin plated model is a near perfect late 1930’s lantern while the red painted model looks just like much like the Comet of the ’50’s that was adopted as the “Official” lantern of the Boy Scouts of America. You can’t get more traditional than that! 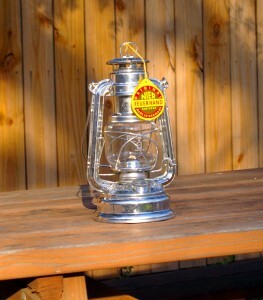 Dietz Comet kerosene lantern (this one from 1952) – the official lantern of the Boy Scouts of America. 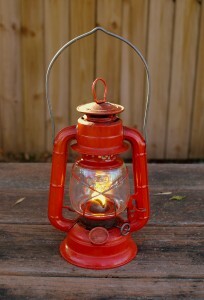 My favorite camping lantern! 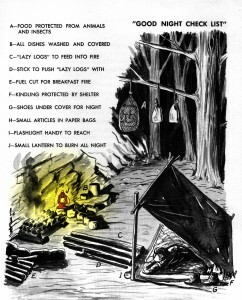 Cabin or camp; moor or mountain; paddle or pack trail, some lantern models serve certain purposes better than others. 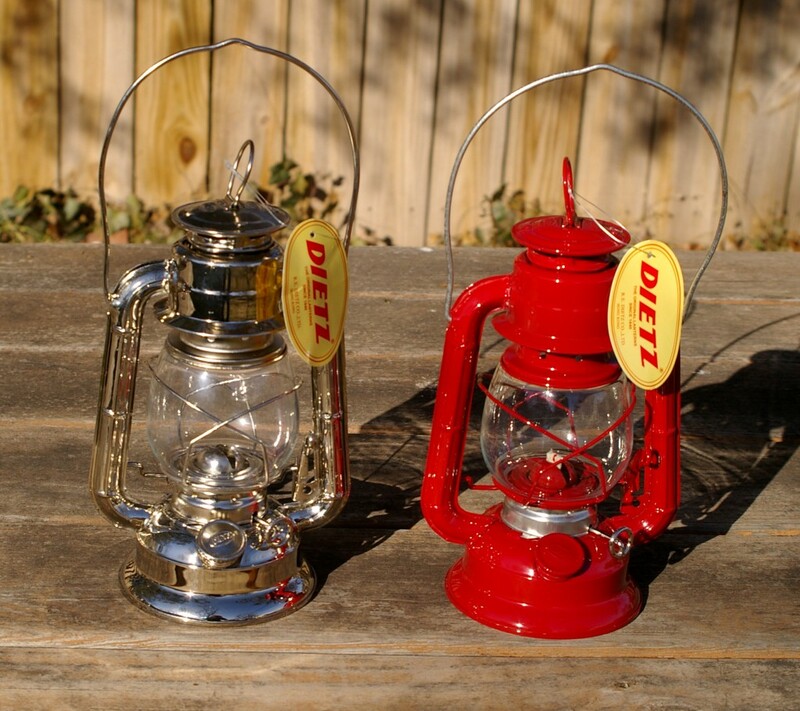 For traditional camping, I prefer “short globe” lanterns and one model – the Dietz #50 Comet, is my favorite. 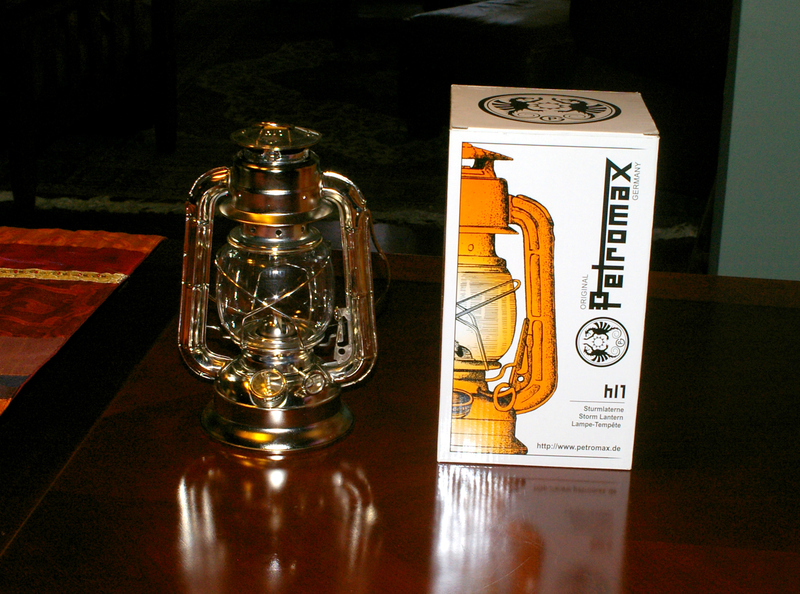 Here is why I like ‘em and how they differ from other kerosene lanterns. From their introduction, tubular lanterns from all makers used tall teardrop shaped globes. This globe shape has the advantage of creating good draft, which results in producing a tall flame by pulling the flame up with the exhausted air. All things being equal, a tall flame is brighter than a short flame of the same width (flame width is determined by the width of the flat wick). A tall globe also provides a large glass area and so, creates a relatively large amount of illumination for the overall size of the lantern. Yet, even with these disadvantages, I like the short globed lanterns best. To me, a tall globed lantern says barn lamp but a short globed lantern says camp and field lamp – and that’s what we’re interested in (all of the WWII era military kerosene lanterns I’ve seen are short globed types). To be faithful to turn-of-the-century camping, you’d have to use a tall globe lantern as short globed models hadn’t been invented yet. And even after their introduction they must not have caught on immediately as all of the camp photographs of kerosene lanterns I’ve seen up through WWI have been of tall globed models (and most of those are curiously hot blast lanterns). Short globed tubular lanterns were not regularly used in the field till much later, and were not specifically marketed for camping in the U.S. until the U. S. introduction of the Dietz Comet after WWII. The Dietz Comet was first marketed as an export model in 1934 and after WWII, as a low cost “economy” lantern in the States. 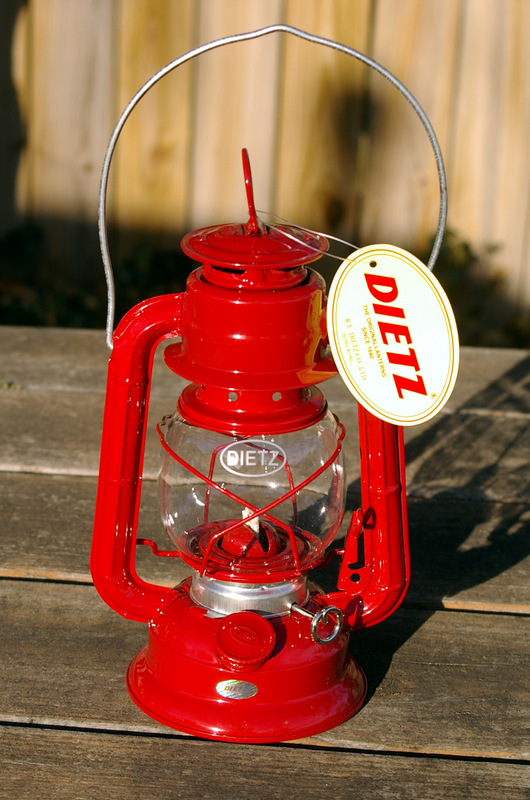 As Dietz stated on the box – “A practical Dietz lantern at the price of a toy”. 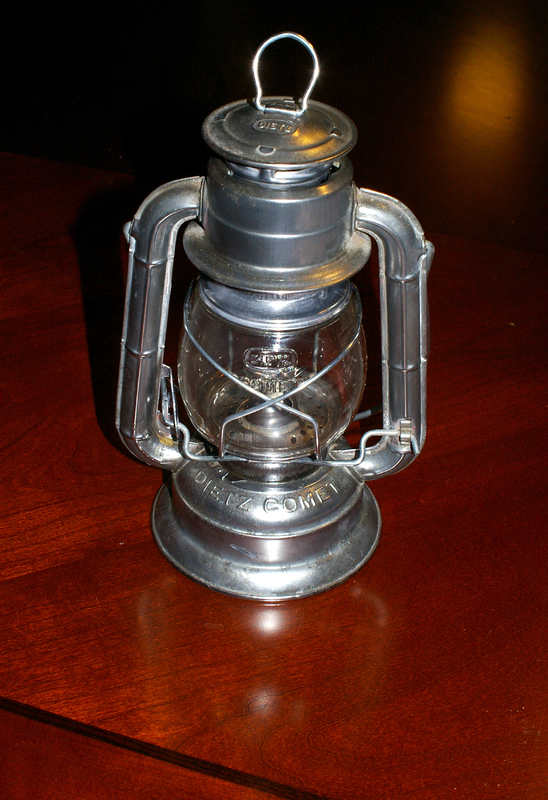 Just over 8 inches high, the Comet was the smallest cold blast lantern ever manufactured by Dietz. Using a 3/8 inch wick, it produces about 4 candle power of illumination. Shortly after its U.S. unveiling the Comet was chosen as the “Official” lantern of the Boy Scouts of America (see Boy’s Life ad here). Comets were popular and were produced in very large numbers. Interestingly, though intended as a low cost product, some of the the parts were asymmetrical, which made the lantern expensive to manufacture. As a result, Dietz wanted to end production of the lantern decades before they actually stopped making it. Only the extreme popularity of the Comet forestalled its end just a few years ago (the company has effectively ended production by requiring minimum orders of 10,000 units). Because Comets were intended to be a low priced item, their pre-war tin plate finish was scaled back to the less rust inhibiting terne plating used for the rest of the production run (terne plate is an inexpensive alloy of tin and lead). As the terne plate was judged not protective enough, Dietz painted over the plating. Bright red was used for nearly the entire production run but Comets were also painted grey, blue and forest green at different times. If you want a truly appropriate camping lantern you can often find original Comets on eBay or Craigslist. In my experience, about half of the ones described as “excellent” end up with issues that must be addressed before use: cracked fuel filler necks, leaking tanks etc. So, if you don’t want to deal with these problems make sure to ask the seller if the lantern has been tested and suffers from any corrosion beyond surface rust, has a leaky tank (at the bottom crimp), cracked fuel filler, or any other flaw (if you’re handy, these minor problems can be repaired). If the lantern works, don’t worry too much about how the finish looks. It can be easily cleaned of all gunk, grime, rust and old paint by following the instructions for cleaning a rusty tubular lantern, under the “Soda Ash and Battery Charger Method” on Kirkman’s website (half-way down the page). You’ll end up with a perfectly cleaned, bare metal finish with the patina intact. The lantern can then be repainted or protected by being rubbed occasionally with light machine oil or Briwax brand creamed beeswax. 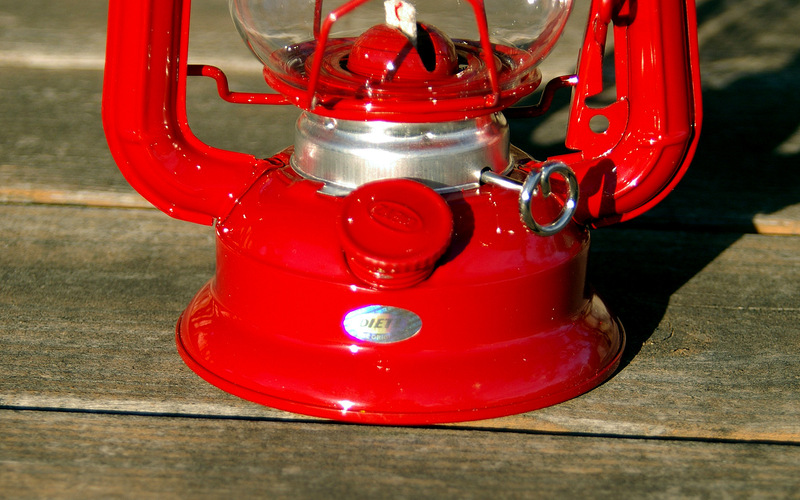 Old red Comet lantern (shown at top of page) after restoration using Kirkman’s soda ash and battery charger method. You could also buy a brand new Comet. Dietz began listing the Comet in their product line in 2013, for the first time in a number of years. I see that Kirkman Lanterns is selling them again (see my recent post on the subject). There are other Comet-sized clones on the market but BEWARE! These are poor quality Asian-made lanterns of flimsy construction (some are even made from recycled tuna cans – nothing like a genuine Comet). And none use strong, heat resistant glass globes. The only high quality Comet clone I know of, the Petromax hl 1 Storm Lantern appears to have been discontinued. No other lantern is as compact as the Comet. Other recommendations include the Feuerhand Model #276 “Baby Special” lantern. At 10 inches high and fitted with a 1/2″ wick, the Feuerhand is larger and brighter than the Comet, producing 7 candle power. The 276 is available in both painted and tin plated finishes, the Feuerhand is a beautifully made historic model as it dates from the early 1930s. These German beauties cost nearly double that of the Asian-made Dietz products. The inexpensive Dietz Original #76 is another great camping lantern. Introduced in 1978 to replace the Comet, the Original #76 is very similar to the Feuerhand #276 (perhaps that is why it’s called the 76?). These lanterns are available in painted ($11.00), tin plate (approx $16.00) and rustproof solid brass (about $35.00) finishes. 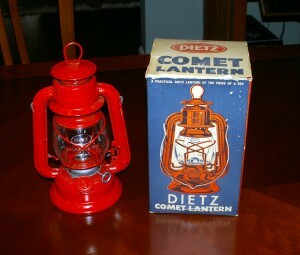 Though not commonly found, the Dietz #78 Mars lantern is another good choice. The Mars is a #76 with a larger fount. For anyone living in or near Oklahoma City, OK, Nix Lumber & Hardware (5117 NW 10th Street, Ph: 405-942-5561) is a Dietz lantern dealer. Nix Lumber is an old fashioned store. They carry all manner of galvanized wash tubs and pails, new wash boards, cast iron pot-bellied wood stoves, and other esoterica. In addition to the lanterns, Nix carries replacement wicks, globes and lamp oil. I LOVE the place. To fuel these lanterns you MUST use only clear, unscented kerosene or “clear lamp oil” (such as Aladdin or Lamplight brand “Medallion”). Note that in Europe kerosene is called paraffin. But in this country, paraffin refers to solid or liquid paraffin wax. At every store where I’ve seen tubular kerosene lanterns for sale, they are marketed along with some sort of liquid paraffin wax fuel. DO NOT USE LIQUID PARAFFIN WAX IN A TUBULAR KEROSENE LANTERN!!! For more information on this please read Kirkman’s FAQ page here. Note also that tubular lanterns do not have sealed tanks. Everything is crimped in place. So if overfilled or tilted, they will leak like a sieve. Do not fill the fount above the top of the air chamber (about 85% full according to Dietz) or fuel can spill into the chamber where it will leak out the side tube joint, giving the impression that the lantern is leaking (modern lanterns usually have a sticker on the outside of the tank warning you of the maximum fill line). Of course lanterns that are tipped too far over will also leak out of the burner socket as that is a hole. When camping, you must always keep the lantern in an upright position and empty any remaining fuel (back into your fuel bottle) before packing the lamp away for transport. After the wick is lit, it should be adjusted to no more than 1/16th inch above the flame plate. As the lantern warms to operating temperature, the flame will increase in size. Five minutes after lighting (warming up), the fame may be adjusted to provide maximum illumination. If the wick is set too high, smoking will occur, which means soot will be deposited on the globe. I carry my fuel in a Sigg “heritage” vintage-style water bottle. I pack the lantern by first wrapping a piece of soft wool batting around the globe (between the globe and air tubes) and then wrapping the whole thing in a larger piece of wool batting and placing the padded lantern in a waxed cotton stuff sack. Bring along one of these beautiful, historic lanterns on your next traditional trip and experience a cheery night camp that glows with soft light. I know you’ll quickly become a tubular kerosene lantern aficionado.